Go bold, or go home! This year it is all about pairing your fabulous and statement looking necklace with your favorite summer and fall season apparel. I think each one of these necklaces will make any minimalistic and boring outfit look bright and original. I am here to share with you my favorite looks that are updated with statement neckpieces. 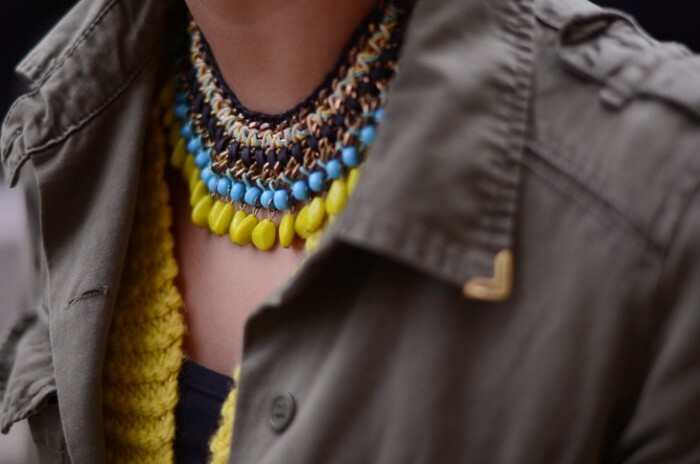 If you are wondering how to choose the right necklace, then I am here to share with you my favorite street style combinations for your one and only inspiration. We see a beautiful pearl fringed necklace that looks fabulous styled with simple grey tank top. 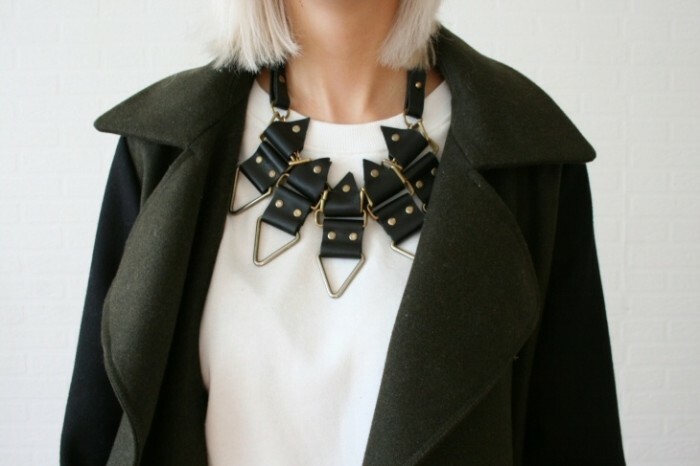 How to wear statement necklaces? This is one of the questions I hear every day. I think people hire personal stylists only because they do not know how to accessorize their everyday looks. My answer would be: no matter what you wear, just add something to your neck and voila! you are ready to go. There are lots girls and ladies who cry saying that necklaces are not their thing. Such a stupid statement. Everyone can wear necklace, yes, even you! This accessory is the easiest way to make any outfit look glamour and special. If you do not like buying new dresses, then the best thing is to spend your money on jewelry. It's a good investment after all, plus you will have so different appearances, once you change one necklace to other one. Here are shown some of the best ideas and designs to try this year. Let me know your thoughts in the comments below.